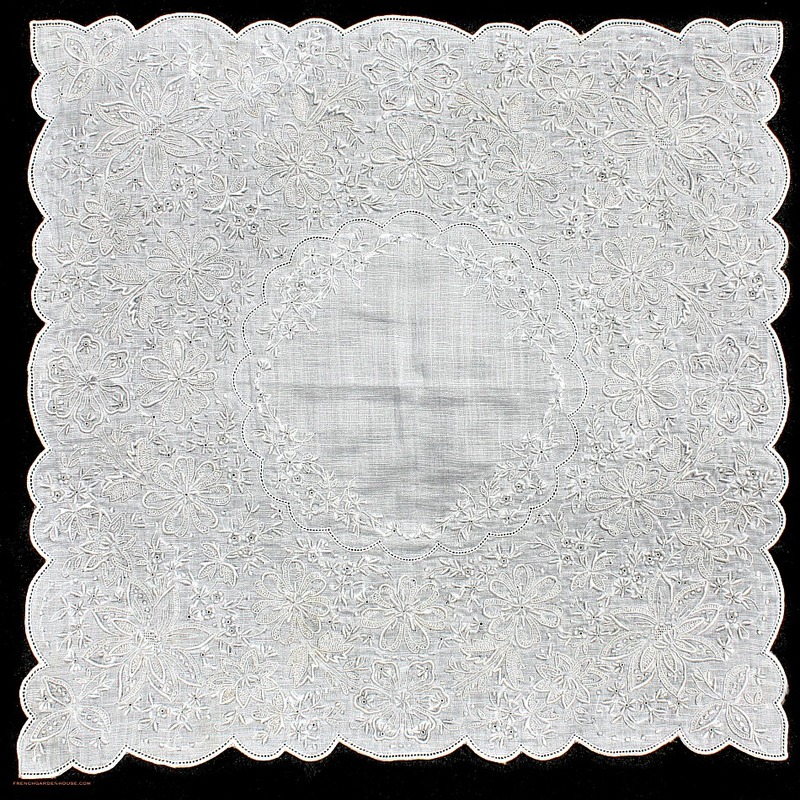 Exquisite 19th century Appenzell Wedding Handkerchief is all (amazingly!) 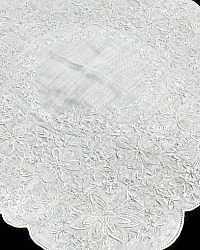 hand embroidered on finest Swiss Batiste Pristine WHITE Linen with Linen thread. The finest, most beautiful hand embroidery you will ever find, made by the women of Appenzell at the foot of the Alps, Switzerland during the 18th and 19th century. Appenzell is the finest, rarest embroidery, world renowned for the gorgeous, meticulous hand work. The embroidery consists of a very fine satin-stitch embroidery and delicate seed stitches that are so tiny and exquisite, it's hard to imagine it was done by hand. Although Appenzell is considered whitework, the handkerchief has the soft gray, silvery shadow, which accents the fine stitching. The work includes Buratto work, which is a grid or net type of needlework. Surrounding the central circular design are the most lovely flowers, and leaves, as well as scrolling and fantasy designs. The edges are scalloped and have the tiniest openwork border. Divine! This work is so pristine and fine that it is difficult to see which side is the front, which the back. 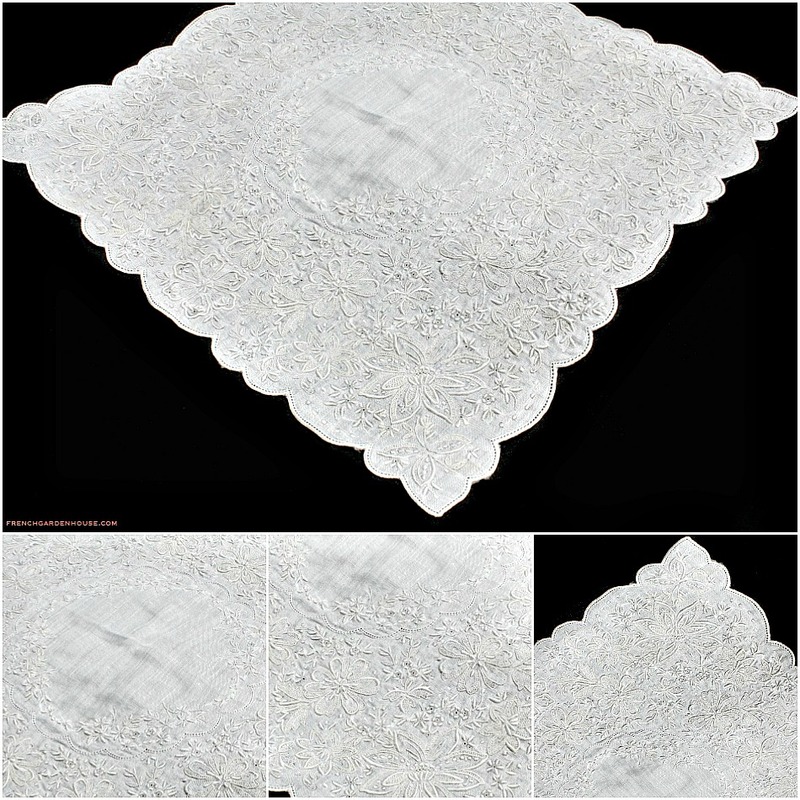 This highly desirable piece comes from a collection of the finest linens and lace. The condition of the handkerchief is remarkable, it is still in its original perfection. This is a rare and exceptional piece, one that you can search a life time for to add to your collection. Truly an heirloom to gift to a very fortunate Bride for her wedding, too. 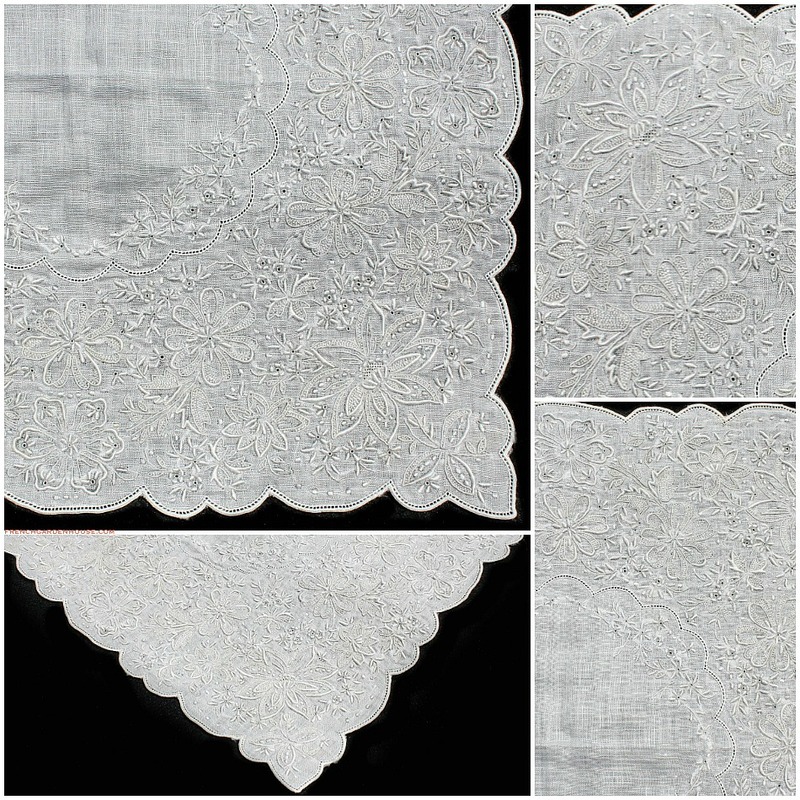 Sure to be the stand out piece in your lace and linen collection. This precious piece will be shipped with greatest care and full insurance.